"The very purpose of meditation is to discipline the mind and reduce afflictive emotions"
The opening scene from my friend Drew's show Help! Help! I Know This Title is Long, But Somebody's Trying to Kill Me!, directed by Avner Eisenberg. The Dot and the Line: A Romance in Lower Mathematics (ISBN 1-58717-066-3) is a book written and illustrated by Norton Juster, first published by Random House in 1963. The title is a reference to Flatland: A Romance of Many Dimensions by Edwin Abbott Abbott. In 1965, famed animator Chuck Jones and the MGM Animation/Visual Arts studio adapted The Dot and the Line into a 10-minute animated short film for Metro-Goldwyn-Mayer, narrated by Robert Morley. The Dot and the Line won the 1965 Academy Award for Animated Short Film. Five years later, Jones turned another Juster book into an animated feature film, The Phantom Tollbooth. Here are the last promotional pictures put together by Jerry. 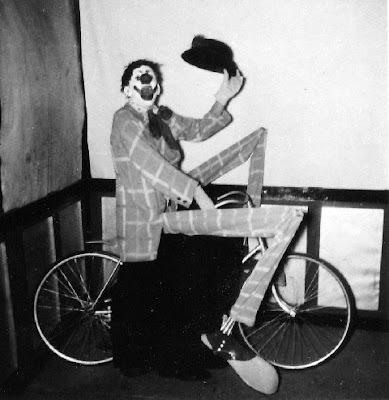 He was producing clown on RB B&B from 1928 to 1948. He told me the picture of him in makeup was taken the first month he was with the show and it was so horrible that they put him to producing. His closest friend on the show was Lou Jacobs. While I worked with Jerry we were on Hubert Castle show, Hamid -Morton show, Tom Packs show, Polack Bros. show and the Atterbury show. All these shows played Shrine dates, but not exclusively, we also were regulars at the Texas Shrine dates in San Antonio, Austin, Houston and Dallas/Ft. Worth. We worked such greats as Gene Randow and Harold Simmons, Carl Marx, Al Ross, Johnny Cherilino, Lawrence Cross, Pat Kelly, Al Ackermann, the Wilsons: Dime Penny Nickel and Dime Jr. and so many more. While with the Pollack show we were booked into old vaudeville houses as the final show before the wreaking ball. We were also the first show in many new coliseums that were being built all across the country. Jerry said that were there to test the plumbing and the lights! R B B&B paid for and owned the floors in these buildings, they had the unique bolt pattern used in their rigging assemblies and no show could play on these floors 6 months prior or 3 months after the Ringling date. Many of these buildings were built on acreage originally purchased by PT Barnum for his show lots, these were acquired when RB took over B&B. THANK YOU DUSTY!!! THESE ARE AMAZING! outside his trailer on either the Mills or early Beatty-Cole show. "Freedom is the real source of human happiness and creativity. 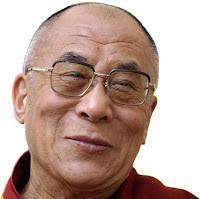 Irrespective of whether you are a believer or a non-believer, whether Buddhist, Christian, Jew or Muslim, the important thing is to be a good human being." 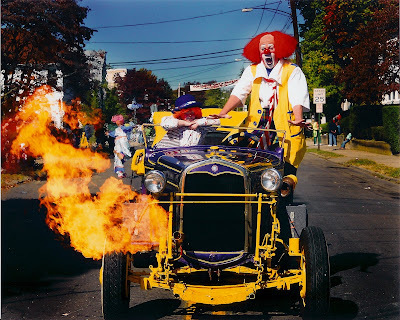 My favorite picture of 2008: Shane and I with Scooter at a parade in Bridgeport, CT doing PR for Ringling. It made the front page of the local paper the following morning. It's the best photo of the car in action. I've got a great expression and animated body language and Shane is hysterical. He's just watching it as though it's nothing at all because, by this point in the parade, he'd seen it about 3 dozen times. 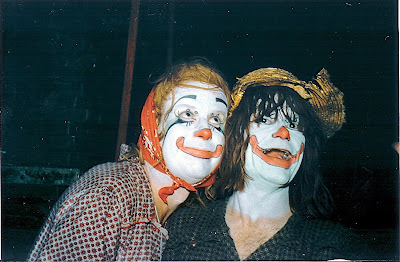 This was Shane's first time working the car gag with me and the very first time he wore clown makeup. Television remained experimental until September21st, 1948, the night the series called Texaco Star Theatre began, starring Milton Berle. That night there were very few television sets in the whole country. But the show was such a humungous success that all the sets on all the shelves in all the towns in America were bought up the next day. Cute little 10-inch Philcos and Emersons—pfft! All gone! Everyone suddenly was glued to a television set. People would turn their set on at home and sit there watching a snowy test pattern, waiting for some show to come on. Any show. Curious pedestrians, standing outside shop-windows and watching those crazy little boxes, were sometimes rewarded by seeing a wrestling match or an early, faded John Wayne movie. But the best of the best was Milton Berle, “Mr. Television,” who cavorted with manic energy through an hour every Tuesday night. And what do you know? 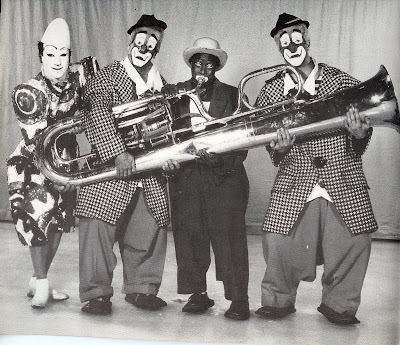 When Uncle Miltie took his 13-week hiatus in the summer of 1949, he was replaced by Olsen and Johnson and their troop of stooges, vaudeville acts, clowns, singers, dancers… and ME. Buick, sponsor of our series, was touting their powerful new automotive engine called “The Fire-Ball.” So, Olsen and Johnson named their show The Fire-Ball Fun-For-All. We performed on Tuesday nights, from 8:00 to 9:00pm. I know it’s hard for people today to conceptualize, but that was LIVE television. Tape had not been invented yet, did not come into commercial use until about 1957. When a show is LIVE, things happen that are not supposed to happen. And audiences were not only turned on just by seeing television, they were doubly turned on by the anything-can-happen excitement of LIVE TV. Shows today have writers, producers, directors, set-designers, lighting specialists, prop men, costume designers and wardrobe assistants, make-up artists and hair designers, production assistants, experienced camera men, sound personnel with huge banks of mixing equipment, and on and on. Then we had none of the above. Olsen and Johnson did it all. 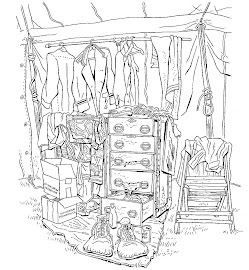 They wrote the show (we had no scripts), directed the sketches, rented theatrical sets, brought costumes and props from their own huge barn/warehouse up in Carmel, NY, determined what music was to be done. 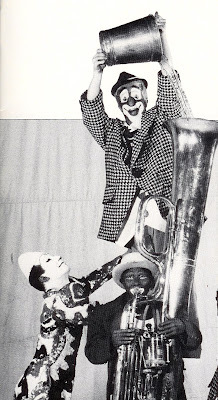 Since there were no TV studios at that time, we performed the show as a theatrical variety show and the huge TV cameras caught as much of it as they could. Cameras in 1949 were not mobile, did not have zoom capability, were really just barely out of the experimental phase. In fact, in order for our cameras to work at all they had to be turned on a full 60 minutes before use and focused endlessly on test patterns or the resultant images would be wavy if not totally unrecognizable. The Fire-Ball Fun-For-All broadcasts emanated from The International Theatre at Columbus Circle (59th St. at 8th Ave.) in New York City. One entire section of seats was removed to make room for the big NBC staff orchestra and our Conductor Al Goodman. More seats were removed to create space for the cameras and to allow carpenters to build and enclose a control booth. Lyn Duddy wrote special material, Paul Van Loan wrote orchestrations, Dave Gould choreographed the first four shows, Donn Arden the next four. On Tuesday night, June 28th, 1949, I made my national television debut (on camera this time! ), doing Olsen and Johnson stooge-bits and singing (in a 1908 Buick) “Shine On, Harvest Moon” and “Take Me Out to the Ball Game” to June Johnson. Staging Director Ezra Stone and Camera Director Frank Burns were wide-eyed if not frantic trying to figure out how to stage and shoot for those three immobile cameras, two in the pit, one in the balcony. We rehearsed 9:00am to 9:00pm every day, which meant we sat around a lot. Television was so new there was no union to demand five-minute breaks and fewer hours of sitting around and wasting time. I came to appreciate unions for the first time. I worked mostly with June Johnson in the musical numbers, sang mostly old-old favorites: “We’re Having a Heat Wave,” “In the Good Old Summer Time,” “By the Sea,” “Let’s Get Away from It All,” “Sweetheart of Sigma Chi,” “We’re Loyal to You, Illinois,” “How About You?,” “Always,” “Big, Wide, Wonderful World,” “Little Brown Gal.” In a big, long, special production of “Penthouse Serenade” I sang to the camera and to June’s sister Chickee Johnson. I was paid $75 a week. 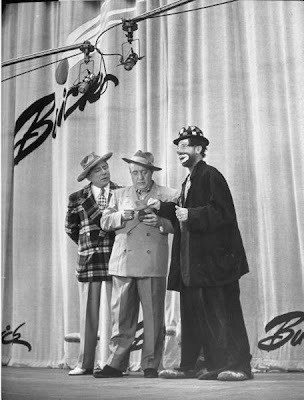 We did eight of our contracted 13 shows and then Milton Berle returned temporarily while we went back on the road. When we came back to do our final five, we were given a new musical conductor (Charley Sanford), a new vocal/choral/special material writer/arranger (Clay Warnick), and a new orchestrator (Irwin Kostal). These shows were done in September and October of 1949. Eddie Cline (former Keystone Kop) was now our staging director and Bob Sidney the choreographer. 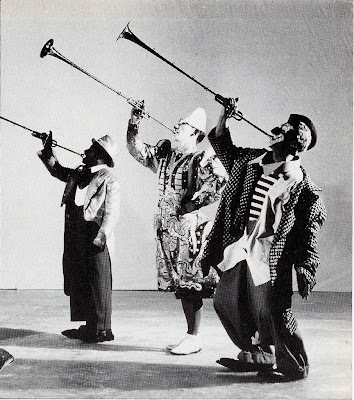 The final show of this series occurred on October 27, 1949. 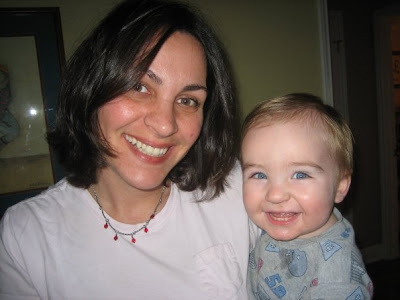 Mary, having become toxic during this pregnancy, was scheduled to have her labor induced the next day. Aware of this impending nativity, Chic Johnson—onstage, during the show—gave me a wild grin and said, “Hope it’s a boy!” Of course, that was before prospective parents were capable of knowing what gender their babies were going to be. Immediately following the show Mary and I rushed up to Women’s Hospital in Manhattan, she drank her glass of cod-liver oil and the next day—Friday, October 28th, 1949---gave birth to our first son. As a “new baby” gift, Chic Johnson presented us with a prop from Hellzapoppin, an oversized white wicker perambulator/crib which had been used in a sketch where a bratty baby was played by Andy Ratousheff, one of the little people. So at least Billy had a place to sleep. The Bumpsy Anthony photo isn't that unusual. 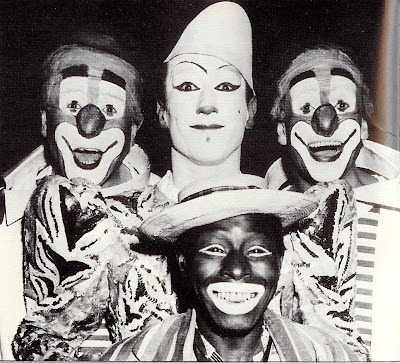 These look to have been taken in the late 50s/early 60s and Bumpsy worked on many shows during that period. The one that throws me for a loop is Paul Jerome's old partner, Herman Joseph. I was under the impression that Herman retired from circus clowning in the early 30s and got himself a townie job. Did he go back out on the road after he retired from that? Did he do spot dates? 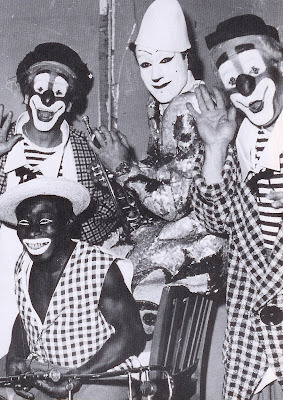 I can't think of a single Herman Joseph photo between the early 30s and this. Anyone have any idea what show this is? What year? and current "Pirate Queen", Christy McDonald! 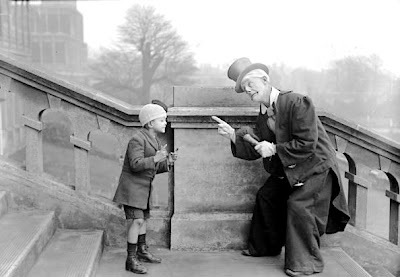 Albert "Bandbox" Austin and son, undated. there is no possibility for real peace." Happy Birthday to the King of Rock and Roll himself, Mr. Elvis Aaron Presley. Last night Shane and I went to the Tinton Falls Public Library, a small building on Broad St., to pick up some new books and to find out more about the local Cub Scout pack. As we walked through the door we noticed a tall, skinny man in his 40s at the computers. He looked like Tom Cavanagh (former star of NBC's former show Ed) sporting a wildly over-sized pompadour, sideburns and the gaudy white jumpsuit/belt/boots/cape combo of the Vegas-era Elvis. I thought it must be a library employee dressed up for some kind of Elvis' birthday celebration so I pointed him out to Shane and said "Omigosh! Hey Buddy, it's the King! Shane, what does Elvis say?" to which Shane replied loudly "Wuhhhh, thank you. Ahhhh... thank you vera much-a!" The guy never looked up from the computer; never acknowledged that we were there. I would have liked to get a picture of the two of them together, but I could see that "the King" was clearly too busy to hold court, so we didn't ask. Shane and I walked back to the children's section where several of the Cub Scout's moms were huddled together talking about "Elvis". Apparently he's not an employee. He's not an impersonator. He's local eccentric and he does this all the time. We just happened to see him on the night before Elvis' birthday. We picked out some books, left the library and then stopped for dinner at McDonald's where Shane told me, "We probably should have asked Elvis for his autograph. He's really famous but he's kinda rude." Shane didn't think of this guy as some local nut at all. He thinks that we met the actual honest-to-goodness Elvis at the library. 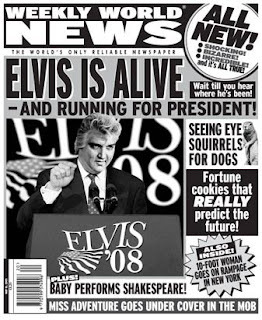 Of course Elvis is still alive! Of course Elvis lives in Tinton Falls, NJ! Of course Elvis dresses in his stage gear like that all the time! And if he needs to get a little work done on the computer, what better place than the lobby of the Tinton Falls Public Library to do it? Shane is convinced that he really met Elvis last night, which is, by far, a way better story and much cooler thing to go through childhood believing than any plain old, simple uninteresting truth. So I'm sure that Shane is sitting in his kindergarten class right now telling his teacher that he saw Elvis Aaron Presley, the world-renowned King of Rock & Roll, last night using the computers at the Tinton Falls Public Library, and sounding as crazy to her as a stack of Weekly World News cover articles. Oh, and that he's actually kind of rude in person. A few minutes of visual comedy from Mystery Science Theater 3000 creator and Ernie Kovacs Award winner Joel Hodgson. Joel's latest movie riffing endevour is called "Cinematic Titanic". LOS ANGELES, Jan. 7 /PRNewswire-USNewswire/ -- In a world that offers a dizzying array of amusements and entertainments, there is none quite so enduring or universal as the circus. Now, over the course of many dramatic hours, Show of Force, the team who brought viewers the Emmy Award-winning PBS series CARRIER, turn their lenses on the circus -- not just under the big top, but far beyond it -- into what circus folk call "the backyard," the place where the trailers are parked and the real heart of the circus beats. 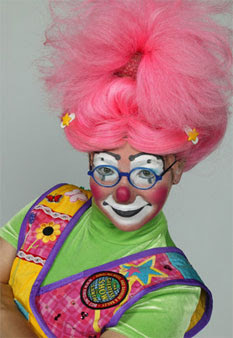 Slated to premiere in fall 2010 on PBS, CIRCUS will illuminate the sights, sounds and stories of this fascinating cultural heritage. "CIRCUS will let viewers escape into this world, see it as never before and understand what it takes to live this life -- virtually an art form -- that dates back centuries," says John Boland, PBS Chief Content Officer. "We will enrich the revelations and discovery even more through deep and dynamic online and educational components." With unprecedented access granted by the Big Apple Circus, the filmmakers will follow the traveling company over the course of an entire season, showcasing the circus community's wandering caravan, "the city without a zip code." 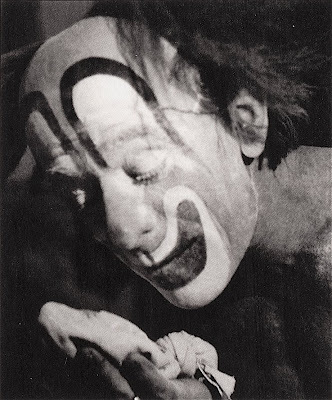 Viewers will witness the circus as a world unto itself, with its own lingo, rules and tight-knit community. 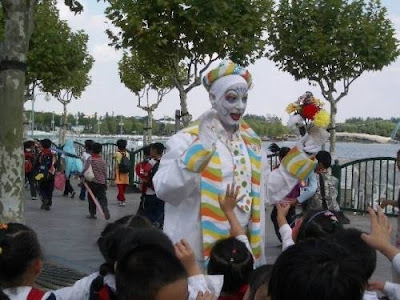 Among the 150 adults who make up the company, there are the expected clowns, tightrope walkers, trapeze artists and animal trainers, as well as carpenters, electricians, concessionaires (known in circus lingo as "butchers"), musicians, ushers, cooks, teachers and even clergy. 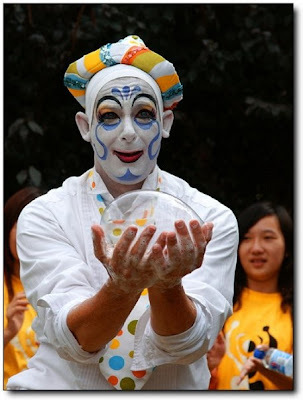 Performers come from all over the world to travel with Big Apple -- the Nanjing Duo from China, the Flying Neves from Brazil, the Rodion Troupe from Russia, Olivier Taquin from Belgium and Sultan Kumisbayev from Kazakhstan -- making a diverse traveling family. "As a filmmaker, it has been an incredible window into a cultural legacy that has never been explored before with this depth and honesty," said Maro Chermayeff, executive producer, co-creator and director. Going behind the scenes, the cameras capture the training and rehearsals, the flubs and foibles, the bravery and the intensity of life -- and work -- in the circus. Along the way, viewers will get lessons in how to juggle, walk a tightrope and do a triple somersault. 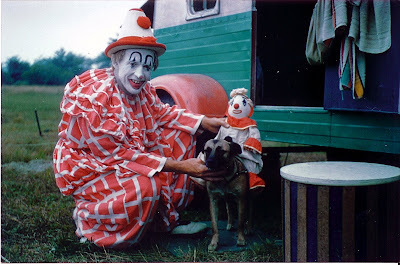 The series also will offer a revealing look at the ways in which the company of a traveling big top circus governs itself. 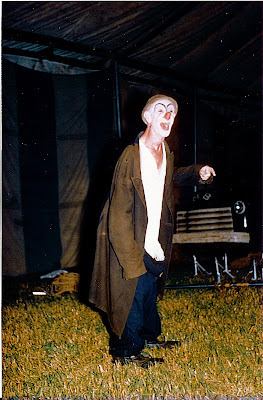 Constantly in motion, startlingly insular and completely interdependent for months on end, the circus community demands a uniquely high level of sociability, diplomacy and flat-out patience. CIRCUS will explore the various ways the company navigates conflict, internally and with outsiders, underscoring just how challenging it can be to spend every day and night for nine or 10 months straight with 150 other people of differing nationalities, belief systems and backgrounds. A fresh and highly current combination of cinema verite and unscripted drama will allow viewers to fully explore the texture of circus life -- and, in the process, illuminate its enduring mystery and allure. 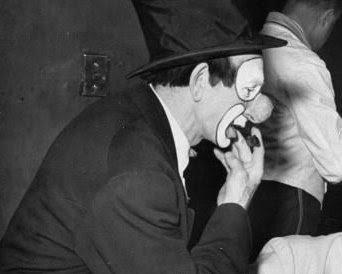 CIRCUS will feature an interactive, Web-based educational outreach component that will further explore not only the ideas and issues raised by the programs, but the circus' lengthy and storied history in the United States as well. Providing a broad spectrum of engaging components -- from series outtakes to circus trivia, from online interactive debates to exclusive video clips that reveal the secrets of the modern circus -- the Web site will promote the series to new viewers, allow current viewers to dig deeper into the show's content and offer educators a variety of tech-savvy, attention-grabbing ways to utilize the physical, scientific and historical bases of the circus in their curricula. 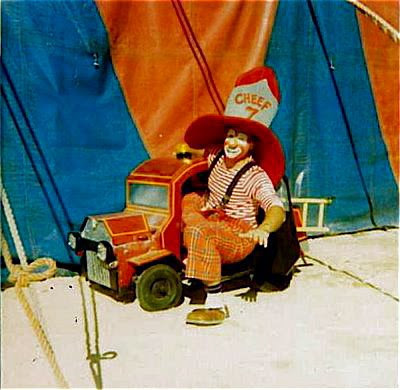 CIRCUS is a production of Show of Force. Created, Executive Produced and Directed by Maro Chermayeff and Jeff Dupre. Produced by Matthew Akers. PBS, with its 356 member stations, offers all Americans -- from every walk of life -- the opportunity to explore new ideas and new worlds through television and online content. Each month, PBS reaches more than 115 million people on-air and online, inviting them to experience the worlds of science, history, nature and public affairs; hear diverse viewpoints; and take front row seats to world-class drama and performances. PBS' broad array of programs has been consistently honored by the industry's most coveted award competitions. Teachers of children from pre-K through 12th grade turn to PBS for digital content and services that help bring classroom lessons to life. PBS' premier children's TV programming and Web site, pbskids.org, are parents' and teachers' most trusted partners in inspiring and nurturing curiosity and love of learning in children. More information about PBS is available at www.pbs.org, one of the leading dot-org Web sites on the Internet. Here's Billy Bletcher, the voice of Pa Bear in the Chuck Jones cartoons that I posted earlier today, doing the voice of Pete to Walt Disney's Mickey Mouse in this rare footage from 1940. Lou Jacobs powdering his makeup. Photo by his wife, Jean Jacobs. My new Facebook friend Tammy Parish with Jim Ragona (currently Director of Operations with Circus Sarasota) on the 118th edition (Blue Unit) of the Ringling Bros. and Barnum & Bailey Circus. "The fact that there is always a positive side to life is the one thing that gives me a lot of happiness. This world is not perfect. There are problems. But things like happiness and unhappiness are relative. Realizing this gives you hope." When people think of Chuck Jones' classic Warner Bros. output they always seem to talk about One Froggy Evening or What's Opera, Doc? but for my money Chuck really hit paydirt with these Three Bears cartoons. The writing, the timing and the characters are fantastic! Chuck Jones once asserted that they predicted "All in the Family" by about twenty years: the grouchy father, the mousy mother and a next generation that doesn't belong. In addition to the great work of the animators, these cartoons are especially notable for the vocal performances of artists Billy Bletcher (Pa), Bea Benederet (Ma) and Stan Freberg (Junyer) who really bring these characters to life. I've just learned that Stooges guitarist Ron Asheton, has passed away at the age of 60. Happy 29th Birthday today to my pal, Mr. John Hadfield. I've recently created Facebook "fangroups" for Lou Jacobs, Otto Griebling, Charlie Rivel, The Fratellinis, Grock, Mike Coco and Mark Anthony. Why? Because. I'd have made more but I believe that Facebook has a limit on the number of groups you can create, or maybe it's the number of groups you can create in a given time period. Either way, if you're on Facebook and would like to be "friends" with Otto and Lou, look them up! "Compassion is not religious business; it is human business. It is not a luxury, it is essential for our own peace and mental stability; it is essential for human survival." Rodney Stephen Hull (13 August 1935 – 17 March 1999), better known as Rod Hull, was a popular entertainer on British television in the 1970s and 1980s. He rarely appeared without Emu, a mute, highly aggressive arm-length puppet of such a bird. However, Hull was careful to tailor its conduct according to his audience, and always ensured that it displayed a friendly demeanour when in the company of children. Hull was born in the Isle of Sheppey, Kent, England in 1935. He attended Delemark Road School and the County Technical School, Sheerness. When he left school, he trained as an electrician but moved to Australia in the early 1960s. His first job in television was as a lighting technician with TCN Channel Nine in Sydney. He then began appearing on-air, notably as Constable Clot in Channel Nine's Kaper Kops, a regular segment in its children's afternoon programming. Clot proved very popular and soon gained his own segment, Clot in the Clouds, which depicted Constable Clot daydreaming about having other professions, such as a world famous brain surgeon, 'Blood Clot'. 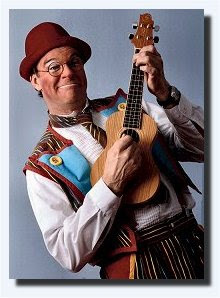 Later he worked as co-host of a children's breakfast TV programme, The Super Flying Fun Show, playing a wacky character named 'Caretaker Clot', an extension of his Kaper Kops role. Hull first used Emu as a puppet in this show. There are conflicting reports as to how this came about: Hull stated, "Sure I found him in a cupboard but I had put him there in the first place. I concocted him, nobody else." However, a Channel Nine producer, Jim Badger, recalled that he had requested a reluctant Hull to use Emu. 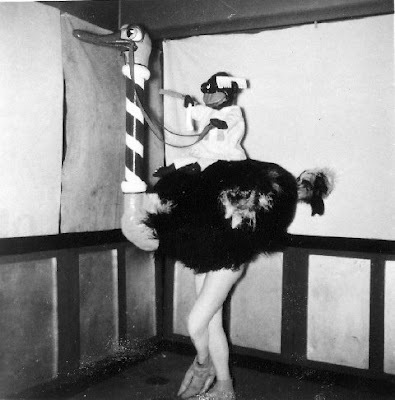 The bird subsequently became a regular part of Hull's set on cabarets back in the United Kingdom and Australia. Hull returned to Britain in 1971 and signed with International Artists (after Emu tore up the office). Soon after, his Australian success translated to his native country with Hull appearing on several children's and adult light entertainment shows. He began on an ITV show, Saturday Variety, but it was his appearance in the 1972 Royal Variety Performance that provided his springboard to national recognition. 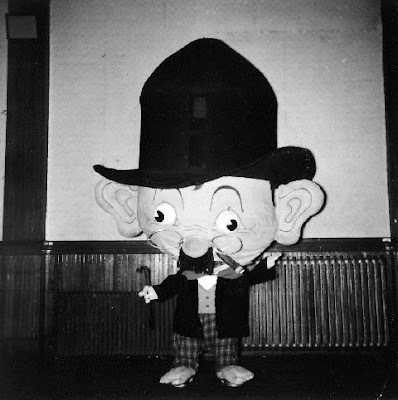 Hull's puppet represented a side of his personality that enabled the entertainer to create a kind of gleeful havoc, while seemingly being not to blame for it. 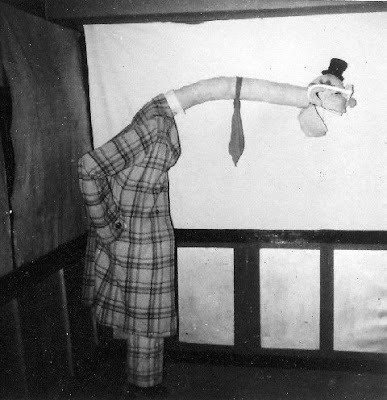 This was aided by the simple yet effective conceit of a false arm attached to Hull's jacket, which cradled the emu, therefore making it appear that the neck and head moved of its own volition. This seemingly independent movement gave the illusion that the bird had its own personality, which entailed sudden, unprovoked and aggressive attacks on anyone and anything that came too close. During these, Hull would make half-hearted attempts to pull the badly-behaved bird away from its victim but would often become embroiled in the fracas, rolling around on the floor to create a scene of mayhem. When Hull left The Super Flying Fun Show and Australia, a duplicate of Emu was made so the character could continue on the show, much to Hull's annoyance. Comedian Martin "Marty" Morton took over Hull's co-hosting position and, in Australia, became almost as well-associated with Emu as its originator. It was during the 1970s that Hull and the uncontrollable Emu made their most famous appearances. The bird repeatedly attacked Michael Parkinson during a 1976 edition of his eponymous chat show, eventually causing the interviewer to fall off his chair. Fellow guest Billy Connolly threatened, "If that bird comes anywhere near me, I'll break its neck and your bloody arm!". Perhaps mindful of his professional future, Hull swiftly got his "pet" back on best behaviour. In later years, Parkinson always lamented the fact that despite all the star guests he had interviewed during his career, he would always be remembered for "that bloody bird". There were no apparent boundaries for Emu's outrageous behaviour. In 1972, it ate The Queen Mother's bouquet of flowers during the after-show line-up at the aforementioned Royal Variety Performance. During an appearance on The Tonight Show, he even attacked Richard Pryor in one of the comedian's first public appearances after undergoing major emergency reconstructive surgery on his face. 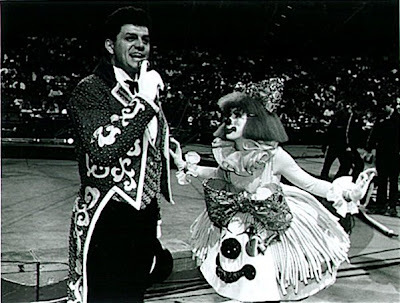 Hull and Emu were regulars on the Hudson Brothers Razzle Dazzle Show, which aired for one season as a Saturday morning kids' show on CBS in 1974. During the 1980s Hull was a multi-millionaire, thanks to his anarchic puppet, and enjoyed huge success with Emu's World and Emu's All Live Pink Windmill Show. The record viewership for his main show, Emu's Broadcasting Company (1975–1980), was 11 million. However, he later suffered financial difficulties and was declared bankrupt in 1994. In the late 1980s Hull bought Restoration House in Rochester for £387,000, but went bankrupt renovating it. The house was repossessed, Hull's Australian wife left him and he moved to a shepherd's cottage in East Sussex. Hull was in the public eye less frequently during the 1990s, appearing in pantomime and television commercials, and winning the 1993 "Pipe Smoker of the Year" award. Nonetheless, his name remained well-known. A 2003 Channel 4 documentary, Rod Hull: A Bird in the Hand, revealed that Hull nursed an increasing resentment towards his puppet, believing that the success of the bird prevented him from pursuing other avenues in showbusiness. He saw himself, according to the programme-makers, as a talented performer who could have developed a more varied career in the entertainment industry had he not been forced to repeatedly play the '& Emu' role. Hull once complained, "I want to write but Emu doesn't leave me the time. I want to be a comedian in my own right, but again Emu won't let me do it." Hull married twice and had five children. He died in March 1999, at the age of 63. Six weeks after he died, following an inquest, the East Sussex Coroner, Alan Craze, recorded a verdict of accidental death. Hull died following a fall from the roof of his home at Winchelsea, near Rye; he was attempting to adjust the TV aerial in order to get a better picture of the Inter Milan v Manchester United Champions League Quarter Final, 2nd Leg. He fell through the adjoining greenhouse and subsequently died as a result of a massive skull fracture and chest injuries. Upon Hull's death, Michael Parkinson reminisced that he had found him to be "a very charming, intelligent and sensitive man — quite unlike the Emu." He observed that the puppet "was the dark side of Rod's personality, and very funny, provided it was not on top of you." 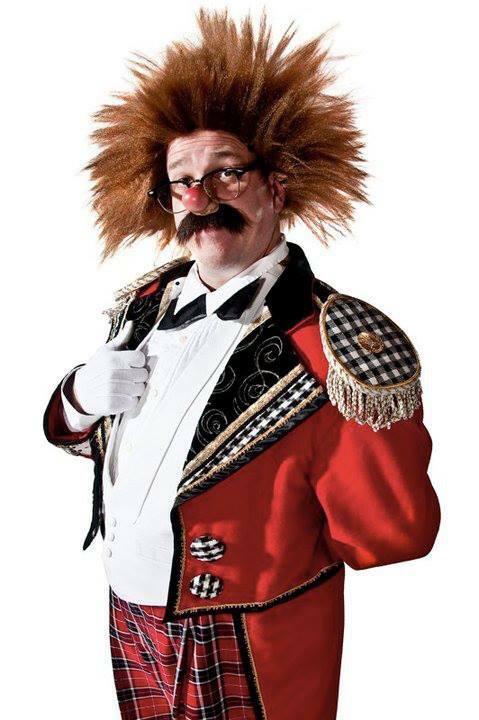 His son Toby brought Emu out of retirement for the first time since his father's death during the 2003 pantomime season, appearing in Cinderella at Windsor's Theatre Royal. Toby Hull and Emu now appear in their own series on CITV. "Phil Enos came from a circus background. His father was an aerial artist, a contortionist and he performed a comedy act in which he dressed as a chimp – an act that his great granddaughter, Olympia, performs today. 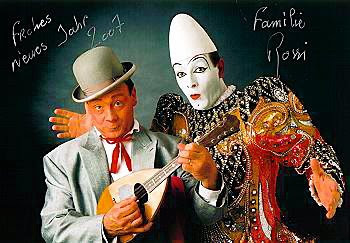 Phil was American but married an English trapeze artist, Doreen, who was with Sir Robert Fossett's Circus. 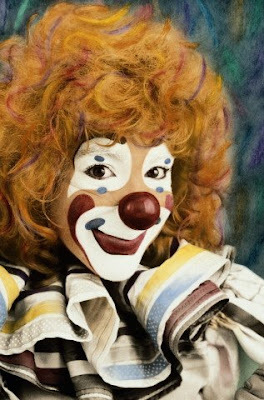 They had two sons and one daughter, all of whom were circus performers, but his daughter, Pamela, is the only one still performing, being that rarest of creatures – a female clown. 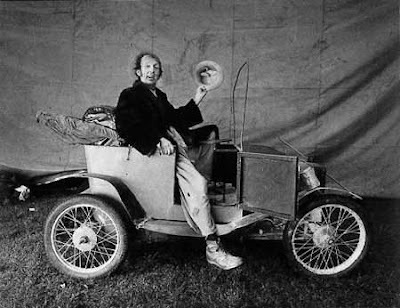 Phil died in 1986, but not before he enjoyed a long and successful career in which he toured every European country and went to the Far East twice with his electric, flame-throwing, explosive, collapsible comedy car." From the film The Naughty Nineties. One of the great things about growing up watching New York television stations before Reagan's deregulation was the access a kid had to Abbott & Costello, The Three Stooges, The Honeymooners, Laurel & Hardy, The Little Rascals, The Bowery Boys, Looney Tunes, Tom & Jerry, Woody Woodpecker and Terrytoons. 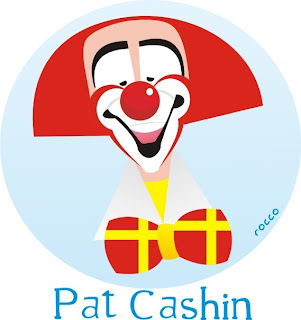 When it changed, it changed almost overnight and the after school, late night and weekend classic comedy which had been a staple of WPIX and WNEW lineups since the 50s were replaced by toy-related cartoons or hour long infomercials. "If any sensible person thinks deeply, he will respect justice. There is an inborn appreciation and respect for justice within our human body. In children, we find what is natural to be the human character. But as they grow up, they develop a lot of conditioning and wrong attitudes. I often feel there is more truthfulness in a small child and I find reasons to have confidence in human courage and human nature." Look at this man. LOOK AT THIS MAN! This is not a picture from 10, 25 or 50 years ago. This picture was taken in 2007!!! 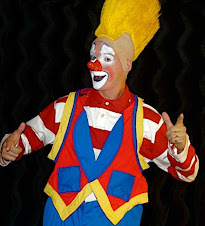 Can someone PLEASE tell me WHY this man is NOT currently working in the American circus industry??? 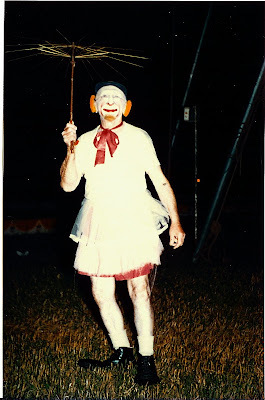 The Ringling Alleys need him, the Cole Bros. Alley DESPERATELY needs him. Any Shrine show would look like a million bucks by adding him. Big Apple could seamlessly add him and make him the American equivelent of Roncalli's "Gensi" tomorrow. CAN SOMEONE PLEASE TELL ME WHY SANDY KAYE ISN'T ON A SHOW??? 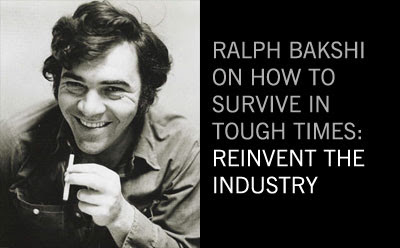 Back at Comic Con in 2008 Ralph Bakshi gave an amazing interview on how to survive in tough times. As a creative working person this inspires me a great deal, so I’d like to share some of my take away points from Bakshi’s insights. But first you have to understand something about Ralph Bakshi: He started his career in the 60s after Disney had passed in both the physical and creative sense. The 30s and 40s were a golden age for theatrical animation, and in the 50s television killed all of that. Also Alfred Hitchcock killed the theatrical short by insisting that there be no cartoons before his film Psycho — the result killed an already pressured animation industry. 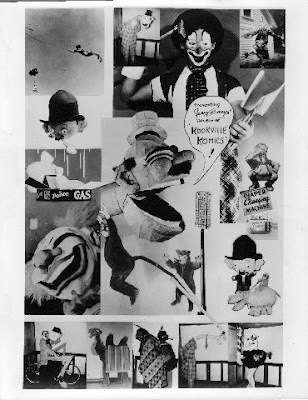 By the way it should be noted that the animation industry itself hit a high point during the great depression. In the early days of the 20s the industry was crowded with many startup studios, but the 30s thinned the heard and forced the survivors to innovate. It’s out of this period that we see Snow White which was the first full length feature animated film — in a sense Disney reinvented the medium. What’s interesting is that Bakshi sort of acknowledges this when he’s putting down the Disney shorts of the early 30s which were quite dull. Mickey was a much more fun character in his black and white films.